The Hoops eased their relegation worries with another battling performance at Croydon on Saturday. Following their extra-time midweek cup win over Sevenoaks Derek Hares’ side again produced a display full of heart and determination and were rewarded with their second success of the season at the Croydon Sports Arena. 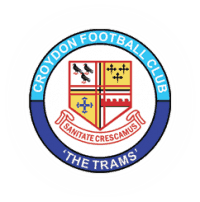 Deal, who defeated Croydon on their home ground in the Kent Senior Trophy in November, went close early on through Charlie Walsh and then, after Chris Waymark had made a superb save at the other end, the Hoops went in front just past the half hour mark. Walsh whipped in a cross which was finished off by skipper Dean Hill. Deal held on to the lead until half-time, at which point Hares had to bring on Ryan Philpott for Connor Coyne who was feeling unwell. Then, with 61 minutes gone, Croydon equalised through Chin and it took another great save from Waymark to keep the scores level before the Hoops grabbed their winner after 78 minutes. Jack Paxman was fouled in the box and Philpott converted the penalty. Deal then produced some stout defending in the closing stages to clinch a victory which moved them up four places in the table..
Deal: Waymark, Scott, Hark, Hill, K Smith, Bigginton, Paxman, Walsh, Coyne (Philpott), O’Brien, Anderson.